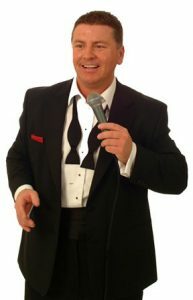 Swing and Rat Pack Singer Jim McMail is widely regarded as one of Scotland’s finest vocalists and has entertained audiences in Cabaret, Theatre, Radio, Corporate and private events for the last decade. The Rat Pack tribute recreates the atmosphere of the famous Copa room whisking you back to glamorous, glitzy Las Vegas to the Sands Hotel for an evening of some of the finest music ever written and performed by the world’s greatest ever popular entertainers, Frank, Sammy and Dean! Jim’s exceptional vocals will guarantee to impress anyone who loves this genre of music. He is one of the most sought after acts for the high-end corporate scene, weddings and celebrity parties. Performance options include delightful over dinner swing, background swing during a drinks reception or as cabaret where style, sophistication and class are an essential ingredient in creating the right atmosphere. If you are looking for sophisticated Las Vegas style lounge entertainment that will really make your party or event swing, then look no further. This is vintage Vegas from the very best modern British swing singer. Jim McMail Big Band When you have to impress everybody in the room there is no better than the Jim McMail Big Band. Available in 8, 10, 12 or 17-piece line up. The band honour the world’s greatest swing singers; Frank Sinatra, Dean Martin, Sammy Davis Jr. and Michael Bublé. They effortlessly combine classic and modern swing songs to create the perfect evening’s entertainment. With his smooth vocal and charismatic swagger Jim will create the perfect package to entertain any audience. If you desire the classic swing format where style, sophistication and class is an essential ingredient for creating the right atmosphere, your search ends here. CREDITS: BBC Radio, British Airways, Mercedes-Benz, HBOS, Diageo, BMW, HSBC, Gleneagles Hotel, The Edinburgh Festival, The Scottish Parliament, Hilton Hotels, Zurich Life, The Royal Bank Of Scotland and Water Aid.